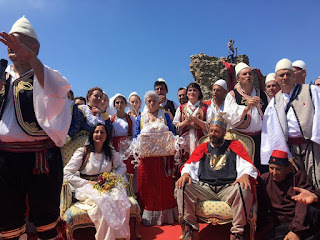 The Kanina Castle was transformed into a beautiful wedding-festival to remember and brought back in memory the wedding of our national hero “Skanderbeg” with his bride Donika. 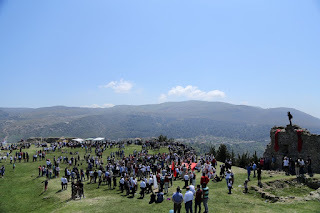 Looking back 567 years ago, here is the place, where Skanderbeg took his bride with a big ceremony. 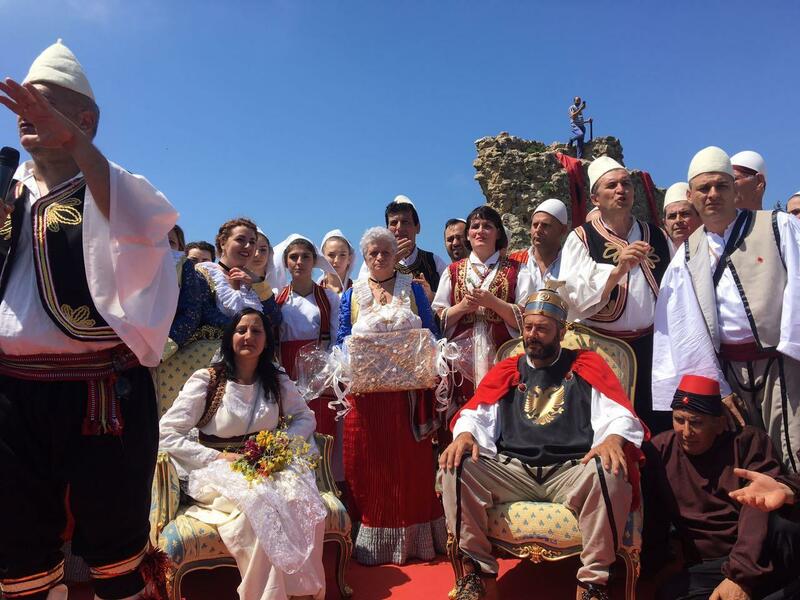 The Albanian artist, Fate Velaj wanted to realize his dream of improvising the wedding of Skanderbeg as it was written in the history. 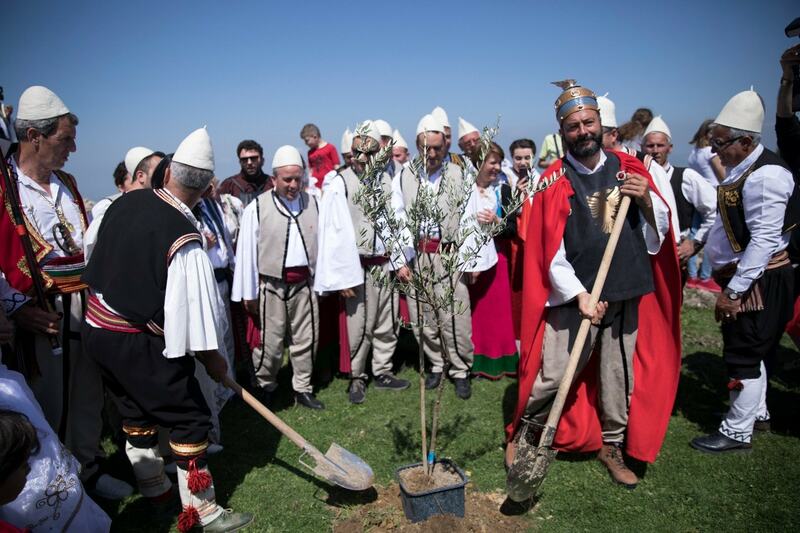 He organized this “wedding” in collaboration with “Kanina” Patriotic Association, “Albanian National Nest” Movement and Vlora Municipality. For visitors this was an amazing opportunity to remember a traditional wedding from our past and it’s good for new generations to learn more about history. With the participation of a delegation of 60 people, coming from the Arbëresh of Italy, including Loris Castriota Scanderbeg - Gjergj Kastrioti's great-grandfather, was celebrated the 567th anniversary of the most historic wedding of the Albanian nation and the 590th anniversary of the birth Donika Gjergj Arianiti in Kanina. 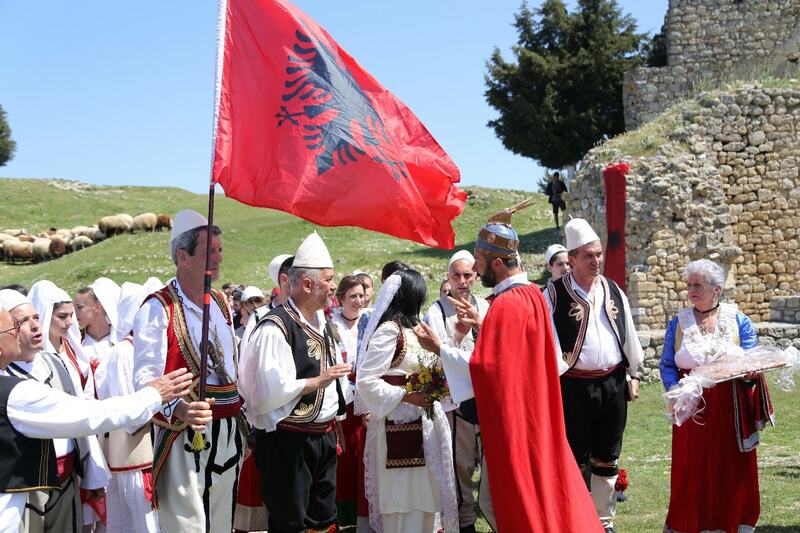 After celebrations in Kanina, they went to Ardenica Monastery, where Skanderbeg and Donika made the vows. 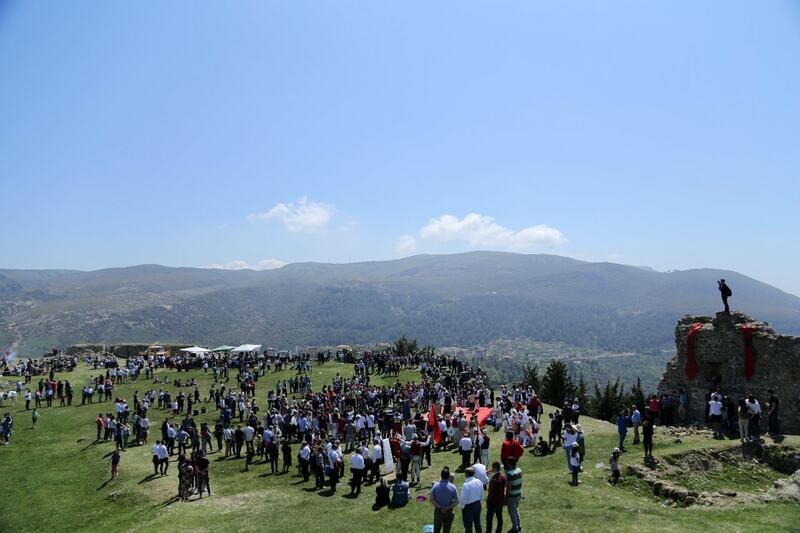 This ceremony is worth returning to the annual celebration attracting more visitors and tourists in Kanina. 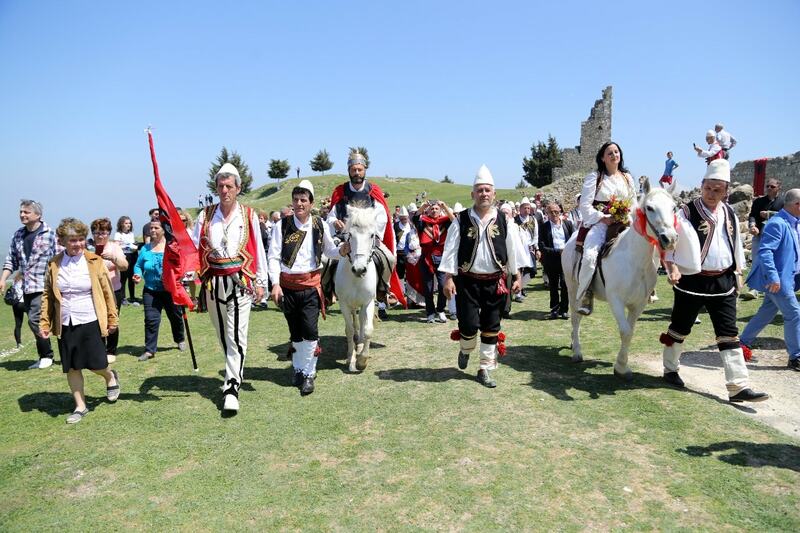 This event was part of many planned activities on the Year of Skanderbeg. 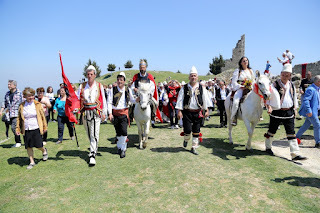 The activities will continue throughout all this year and will culminate on 28 November, which is the Independence Day of Albania, but also a very important day when Skanderbeg raise the Albanian flag in the Castle of Kruja.. Skanderbeg is the National Hero of Albanians, the most important figure of our nation.